I never before stayed in New Orleans that late! 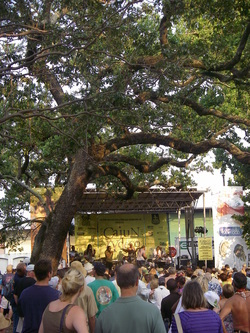 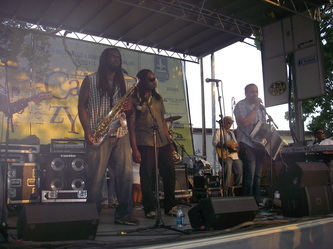 Jazz Fest - sure, but I usaully get out of New Orleans summer heat and humidity after that! 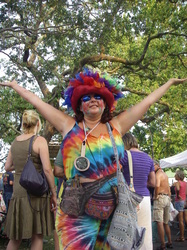 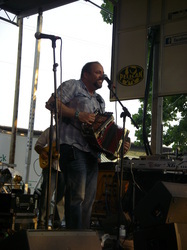 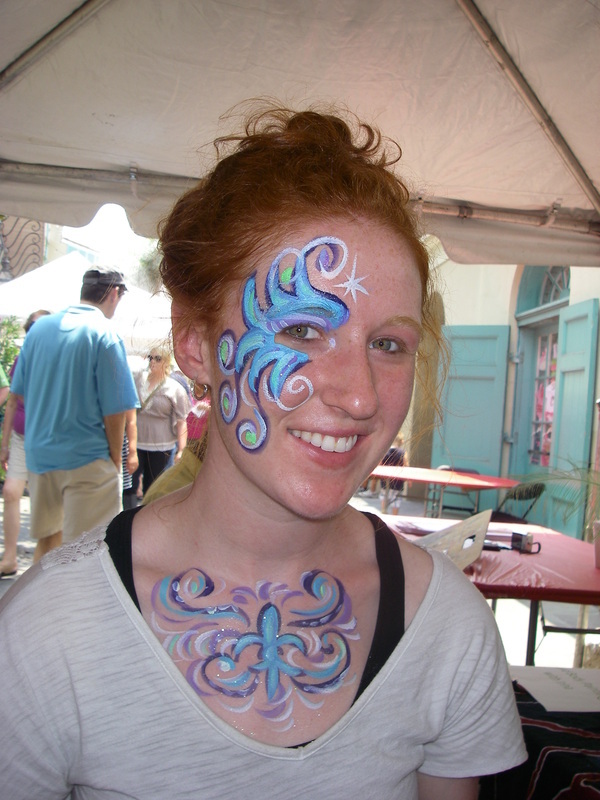 2011 was my first year of working here in june - I really loved Creole Tomato Festival at the French Market. 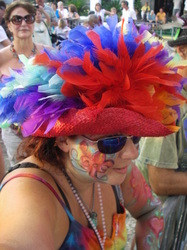 Very hot!!! - but a lot of fun! 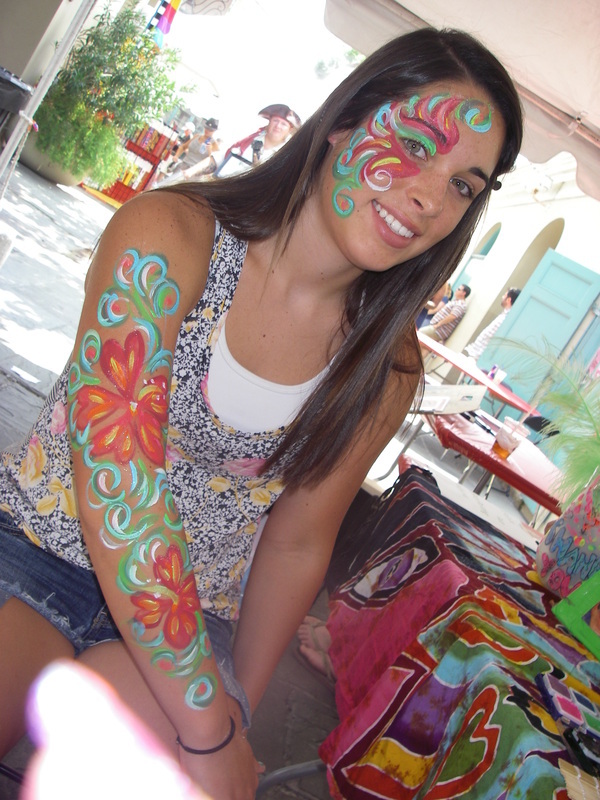 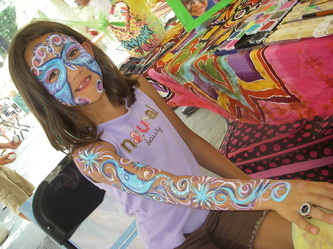 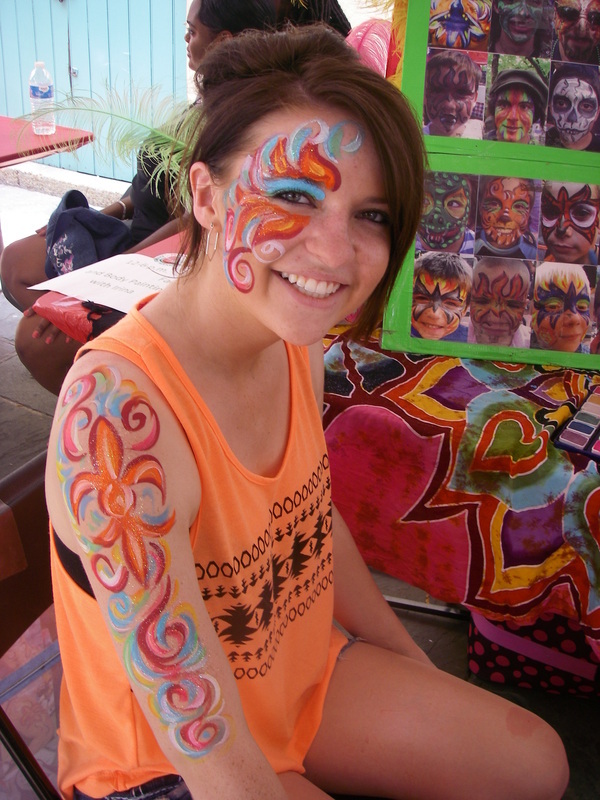 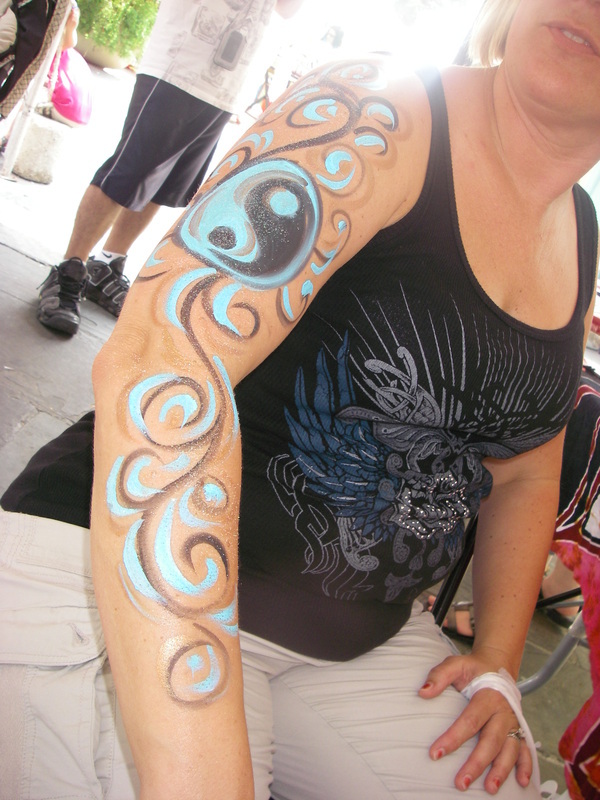 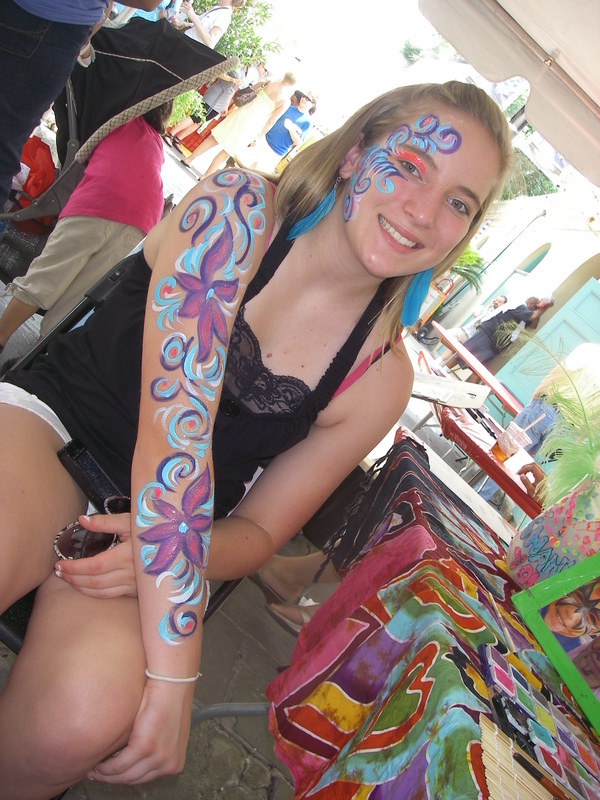 I worked in the kids area of the French Market on Decatur st and painted whole buch of faces and arms for kids and adults. 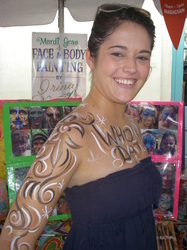 I think body-painting is the way to go this time of the year in New Orleans- faces sweat! 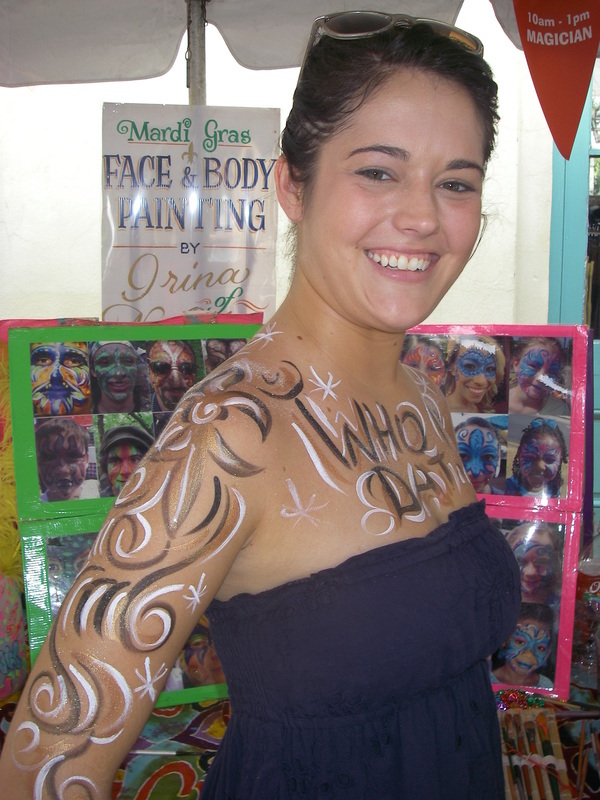 - but body-painting stayed pretty well!